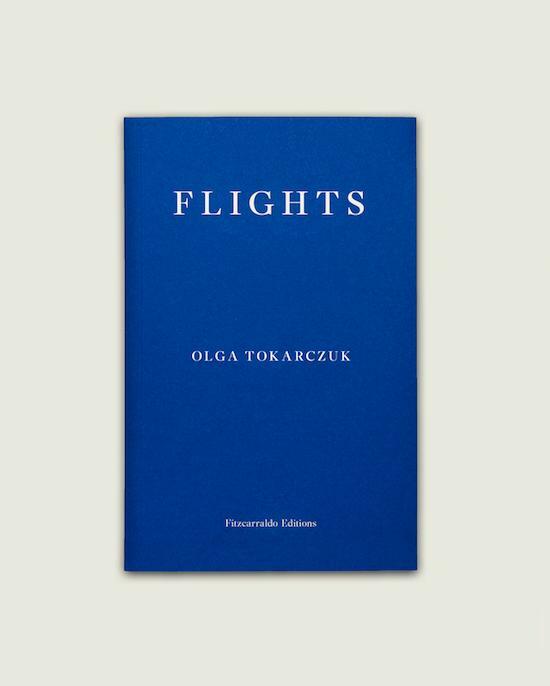 It’s often said that you shouldn’t judge a book by its cover, you can, however, judge my worn copy of Flights by Olga Tokarczuk – winner of the Man Booker International Prize – by its cover. Fittingly, for a book that explores travel, I found myself roving around the country by train while I was reading it, and the book, like the views outside of the carriage, became more smeared as I went. It transformed over time, from a map – a static object – to a live territory as the white backing of the pristine Fitzcarraldo blue cover started to bite through, edges started to fold, marginalia multiplied and different abstract patterns of light and shadow cascaded over its surface as I read. The book, like the state of my copy, is a geography that keeps evolving as you read; or more precisely, it’s a cabinet of curiosities in flux. Cabinets of curiosity and strange collections feature heavily in Fights – people, to a certain extent, are cabinets of curiosity as well – but they aren’t just a subject, they also provide the model for the book’s structural organization and the means through which it discursively conveys its fleeting messages. The Wunderkammer was once seen as a microcosm of the world and, more sinisterly, as a sign of the owner’s control over that world. For this reason, with its emotionless indexing and mastery over the perennial movements of nature, it can be seen as the nuclei for how we control and are controlled today, which manifests itself most intensely – among certain groups of people – in anxieties regarding the crossing of borders. Tokarczuk uses the construct that initiated our static entrapment against itself, for the Wunderkammer’s other characteristic was that it allowed for a constantly changing narrative of associations to open up between objects, one that is always blossoming anew, in the manner of the rushing intercut experiences we consume while travelling. And this is precisely how the book works. Each fragment (I say ‘fragment’ since ‘chapter’ seems too rigid and linear a word) is a strange object in the cabinet and all the objects infiltrate each other with different meanings that change as you traverse the book. So, the objects may be pinned down, their stories, however, are not. The book’s plea, the silent presence, that the text spirals around, is that we should embrace such movement, and live our lives in the same way, by mirroring the transient nature of our souls. After all, it is odd in a time obsessed with travel and high-speed connectivity between all parts of the world, that we still rely on static notations of dwelling and home. It’s these notions, Flights speculates, that we crave – while at the same time letting them ensnare us. Flights is a book of glances into lives in transit. There is an intoxicating tumult of narrative voices. However, it is usually glances of women that are tethered or cut free in various ways. For it is women, perhaps, that are most controlled by those antiquated notions of the home and the responsibilities that are expected of them there. This is most apparent in the fragment where a woman named Annushka escapes the trappings of her family life and unsupportive husband. She goes on a walk one day and simply doesn’t return. Instead she favours the constantly changing scenes of the public transport system as an alternative to the static walls of her home, encrusted with grimy memories and obligations. 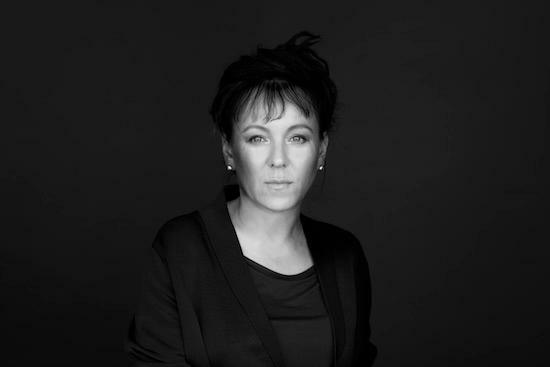 We don’t completely understand her reasoning, but embracing a lack of comprehension is a crux of the book, and the most concrete exposition of her situation comes from another woman who is similarity indecipherable – she’s raving mad on first appearances, but in the ensuing chapter Tokarczuk translates her disturbed and discordant cadences into sanity: “Sway, go on, move. That’s the only way to get away from him … He reigns over all that is still and frozen, everything that’s passive and inert”. We also glimpse a man – an anatomist – who likes to control women in a different way, by photographing them and converting their bodies into sterile and impersonal slices of time. The same passive aggression is wrought against him in the end, as he meets Mrs Mole, who leaves him speechless. The woman asks him questions and Tokarczuk redacts his replies – this time dehumanizing him into a lifeless cadaver. These longer fragments in the book are all intercut with shorter oddments and curiosities about the nature of movement, along with the frayed thread of one woman’s – perhaps our hero and writer of these fluid fables – reflections on her travels which run right through the book. The book prompts us towards such a tacit, glance-like and intuitive understanding of the environments and situations we find ourselves in: the opposite of scientific cartography. Pictures of maps are strewn throughout the pages of Flights, not to accurately describe geographies and places but to show their inability to depict the real world. In relation to the glance, the map is a fixed stare in which we think we understand everything, even though we do not. As you move deeper into the novel, the maps begin to look like anatomised bodies, their roads become arteries and veins. But bodies can’t be mapped either. In the fragments on the anatomist Filip Verheyen, we read about how he obsessively dissected and mapped his amputated leg to understand his melancholia. Over the course of its description we realise it’s the parts he can’t pin down, draw, and map that are most revealing about his condition. As in everything that is exhaustively examined and charted, there will always be voids delineated by anomalies, fleeting auras and phantom limbs that can be felt and not seen. Such seemingly void areas are more important than what we can see clearly; maybe, as Tokarczuk seems to suggest, they are the slippery geometry of our souls. I often think of a book in terms of a singular situation that encompasses its themes and ideas. Flights is too fleeting for such a direct exercise, although I was able to imagine this: think of an airplane, designed to weightlessly and constantly roam the sky, and then think of its immense weight clumsily sitting in its docking station at the airport. The latter image represents how most of us live, but the former shows how flights, movement, and travel, can alleviate the weight of living.